…at least for a week or two. Several years ago, I started writing about my weight loss journey by outlining all the different diets, fads, and nutritional programs I tried in my years of experimentation. My end goal was to help people like me (people who struggle/find it hard to lose weight) avoid the same diet mistakes I’ve made. I want more than anything to help my readers realize that “diets” aren’t the answer, and to show that eating real food is what matters most. 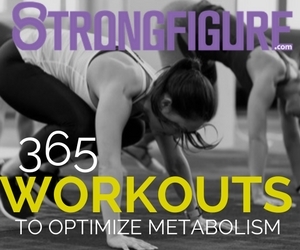 And if you can do this along side a good strength and conditioning program, weight loss can be easier than calorie slashing, fad diets, and cardio obsessing. In high school I tried the Atkins diet and two months in I became lethargic and stopped having periods. 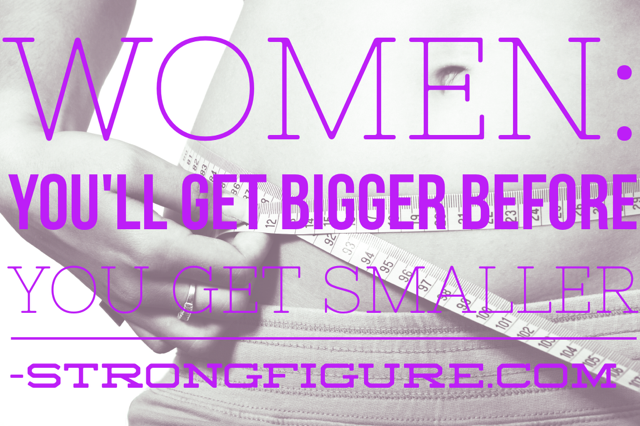 In my early to mid 20s I tried Weight Watchers and actually lost 10% of my body weight (zero emphasis on weight training or exercise or building muscle–so I was totally “skinny fat”), but I also had calorie restricted myself SO much that my metabolism all but stopped, and any time I “took a break” from point-counting I blew up faster than you could say cheesecake. 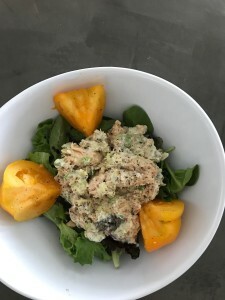 I tried the Zone Diet when I started CrossFit in 2009 and even though there’s a lot of scientific research that supports the zone theory, I still felt hungry at the end of every day. Hell, I was hungry every hour. 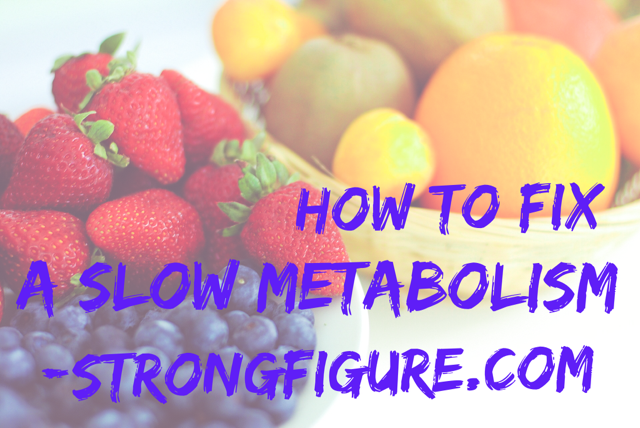 I carb-backloaded for a while when I was training for two hours a day and teaching group fitness classes at my local gym–and while gaining some mega strength, I was also eating WAY too many carbs for my little frame at the end of every training sesh. It took me days to get over the gross feeling carb bloat. 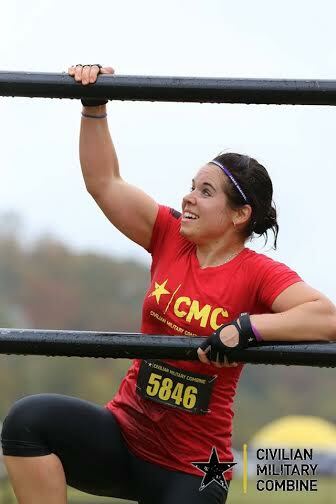 I tried the ever popular Paleo diet when I got back into CrossFit (the time I was both CrossFitting AND powerlifting), and I ended up so carb-deprived I was moody, anxious, stressed out, and I’m pretty positive that’s how I injured my shoulder–not enough glycogen replenishment in the muscles post training. You may look at this and think “geez….why even bother? So many headaches!” But me? I kinda love it. From all this experimentation, I’ve learned so freakin’ much about myself, my body, nutrition, exercise, and a combination of how all these elements work together. That my body responds really well to the “good carbs” in limited quantities. That a high protein diet helps me get and stay lean. That I can’t just “cut out” things completely from my diet. That if I do try to cut, I binge later when I’m too exhausted to care. That moderation–for me–is really what works, but only if I keep the rest of my food choices very clean. Because of my trials, experimentations, and failures, I know what works for me. I employ what I learned through carb-backloading to apply nutritional timing to when I eat certain foods. I combine this with macronutrient partitioning (eating a certain number of carbs, fats, and protein grams each day) and the majority of my food choices are paleo-type foods (plus dairy and a few whole grains). This is when I have my best success (combined with weight training and interval cardio). What does this have to do with trying a Whole30 diet? I’m sure you know about the Whole30 diet–it has been trending for a few years now. The gist of the challenge is that you eat nothing but “whole” foods in their purest form for 30 days. I’ve never given this challenge much thought because it’s an elimination “diet.” After all, I’m an “everything in moderation” eater, and elimination diets can lead to binges. I’m not a fan of any “diet” that can lead to food disorders! Diets don’t work. Slashing calories does not work. So I never really read much into it. And then I had my baby. If you know anyone struggling with postpartum anxiety, please share this information with them–it has truly helped me! 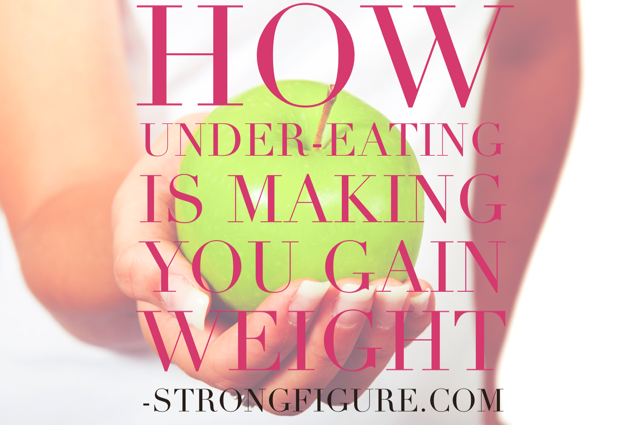 I know what you’re thinking–I tried the Whole30 diet so I could lose baby weight, right?! Wrong. While I could create a whole new blog on postpartum healing, it wasn’t the thought of weight loss that stole my attention towards trying this challenge. 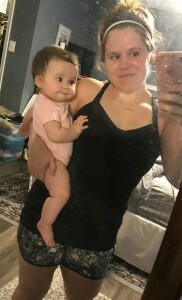 It was another new mother who told me that her postpartum anxiety disappeared after she completed a 30 day challenge of nothing but whole foods. When I heard this, I knew I should try the challenge. I needed my anxiety to disappear–it was starting to interfere with my daily life and activities. While going to the gym was starting to help, the anxiety was still overwhelming and I was near the breaking point. I was up for anything that could beat my anxiety, and if that means a deprivation diet for 30 days, so be it! It’s only 30 days right?! Well my first mistake was not prepping the kitchen with the right foods! I didn’t eat much other than eggs, cauliflower, and bananas on day one because I realized I needed to go to the store! I thought my kitchen was an overall healthy one, but when I looked around, I didn’t see much that the Whole30 diet approved. As I looked around my kitchen I realized I had a lot of Greek yogurt and cottage cheese (remember, no dairy), and protein powder (too many additives). I had steel cut oats in the cabinet (no grains), and some hummus and veggies in the fridge (I couldn’t eat the hummus because of the chickpeas AND extra ingredients). 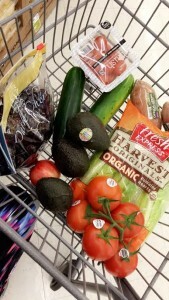 I needed more fruit and veggies; more meat, fish, and eggs; and more nuts, seeds, and avocado. This is exactly why I think everyone should try out the challenge. If not for 30 days, at least a week or two. The Whole30 challenge opened my eyes. I knew I already ate healthy the majority of the time but I quickly realized how many additives are in my “healthy” foods. My protein powders contain additives and sweeteners. My favorite Jenny O lean turkey sausage contains a small amount of added sugars. The kielbasa I love to eat for breakfasts and dinners have added sugars. I couldn’t even eat an organic salsa Erik brought home because it contained cane sugar. Almond milk (I use for smoothies or to mix protein powder with) contains additives, and I couldn’t even use my favorite balsamic vinegar on salads because it contained additives. No sauces or many spice mixes for that matter, no feta on my salads or milk in my coffee–which was the WORST part of the whole challenge. I couldn’t believe it: even “healthy foods” were deemed unhealthy in this challenge. I was pretty shocked. No wonder our society is plagued by so many illnesses–including mental ones such as anxiety! There are additives and preservatives and sugar in EVERYTHING! 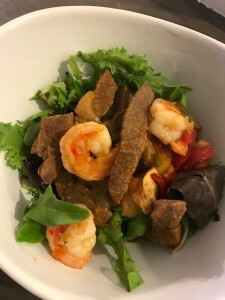 Steak and shrimp over a bed of mixed greens. I topped this meal with an organic, Whole30 approved salsa. We saved money because you can’t eat out….anywhere. I have a greater appreciation for those who actually have to eat gluten/dairy/corn free. It is SO hard! I just freaking love dairy and I’m not so sure what’s wrong with it? Why is dairy given such a bad reputation in the health community? Whole fat dairy (not skim or 2% or low fat) is high in protein, good (animal) fats, and low in sugar and carbs. Especially if you buy organic like we do, you’re getting top quality dairy. I LOVE getting at least one protein serving a day from Greek yogurt (plain), and/or cottage cheese. I enjoy a little milk or cream in my coffee. And I would eat a Greek salad every single day if I could sprinkle some feta on it. Tell me–what’s bad about this?! Cheese “used to” be deemed unhealthy in the nutrition world until research proved animal fats weren’t bad for us like some used to push. So even when kept in moderation, why should I have to eliminate dairy from my diet? 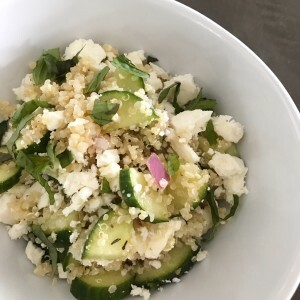 A fresh, summery cucumber, quinoa, and feta salad with fresh basil, red onion, and tossed with a red wine and olive oil dressing. NOT Whole30 approved but seriously? This cannot be that bad for me. Can it?! I ate so many dates and (the approved) Lara Bars during this plan that I’m surprised I lost any weight. 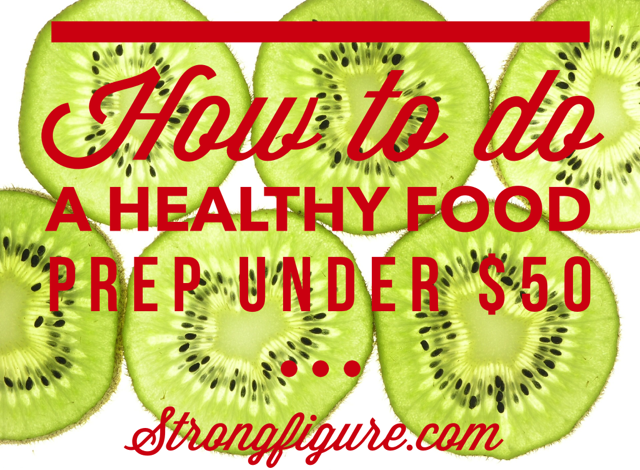 Fruit (fresh or dried) is full of “natural” sugar and it’s the only sugar allowed during the challenge. I ate a handful of dates at last twice a day when I would otherwise grab a yogurt, have hummus and veggies, a little bit of cheese with nuts, or a bowl of cottage cheese sprinkled with ground flax. Maybe I was lazy in creating new snacks but my snacks actually seemed worse than normal. Seriously, whats so wrong with this snack? 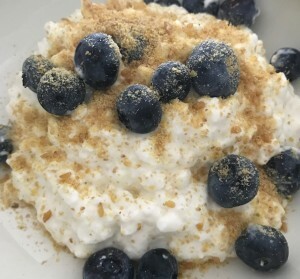 High protein cottage cheese, fresh blueberries, and ground flax…I see no problems here. My diet was high in fat, moderate in carbs, and many days, pretty darned low in protein. I did not like this at all. It’s REALLY hard to eat 120+ grams of protein a day from meat and eggs. Or maybe it isn’t and I wasn’t used to such a volume of meat but my protein suffered due to the dairy and powders elimination. I lived as a hermit because it felt impossible to be social. I don’t drink much but I do enjoy a glass of wine or a beer when socializing. After realizing how great the challenge is, it makes me think that we should eat like this MUCH more often. Yes to whole, clean, foods and NO to additives and preservatives! No to sugar! No to inflammation! Yes to better bodies! Yes to good health! I mean, I want the absolute best for my little girl so isn’t this the way I should be cooking for her? I don’t want to fill her with junk and chemicals and fake ingredients! So can you mix the best of both worlds here? Is it possible to prepare foods without additives and preservatives but still eat organic dairy? Is it ok to have a few whole grains here and there, especially when weight training and needing to build muscle? Is it possible to shy away from sweets and desserts except on special occasions like holidays and birthdays? Are beans and corn and lentils really that terrible for us? 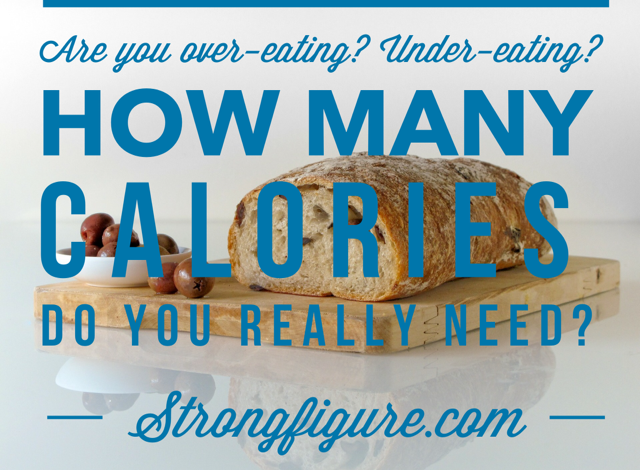 Especially if eaten in small quantities every so often? And is it ok to have a glass of wine or beer with friends once or twice a week? Am I negating the entire Whole30 challenge by saying this or am I creating a life of balance? 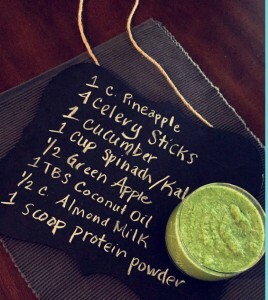 My favorite green smoothie recipe is not Whole30 approved. But isn’t a diet that includes this smoothie still healthier than one that doesn’t get enough veggies? For me, I choose balance. I just don’t see it working any other way. It’s hard to live in our food-society completely “whole.” But I can try for balance. I believe I can cut out the additives, but I still want my dairy. And I want Brielle to love whole grains, good cheeses, Greek yogurts, and the occasional sweet treat. But I still strongly recommend that if you haven’t taken a long hard look at the food in your kitchen, step up to this Whole30 challenge at the very minimum for a week. What can you change? What can you do differently? What’s not as healthy as you actually thought it was? What’s in your protein powder, and how many foods do you eat with added sugars? How much honey do you use? How much do you need? I want to know: are you up for the challenge? Whole 7? Whole 14? Whole 30? What can you do? In the meantime, if anyone knows of a protein powder that constrains zero extra additives that still tastes halfway decent and doesn’t cost a fortune, contact me. I want to know! Here’s the link for the Whole30 program rules if you’re interested. A reader mentioned to me via Instagram that there’s an approved list of additives online. Also, it’s worth mentioning–as another reader pointed out–that doing the challenge for less than 30 days may not help eliminate food sensitivities and inflammation–if that’s the main goal. That wasn’t my goal, but if it it’s yours, definitely try to stick with the plan!